Otago Peninsula farmland and beaches around Hoopers Inlet. Allans Beach left, Sandy Mount right. 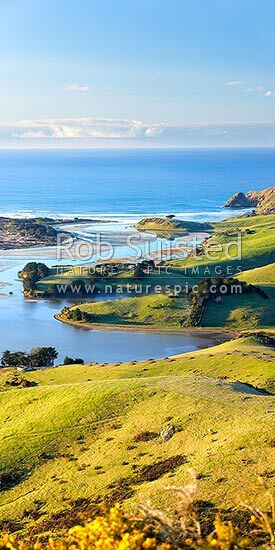 Vertical panorama, Otago Peninsula, Dunedin City District, Otago Region, New Zealand (NZ), stock photo.